Do not place newly harvested grain into a bin that contains old crop. Empty the bin of all residual grain. Brush down the walls, sweep up the floor and remove dust and chaff. Clean grain, chaff and debris from under false floor and air tunnel. Inspect for and repair any cracks and holes. Use a registered insecticide, Tempo or StoreCideII for spraying bin sides and floor. Apply a coarse spray on all areas that are sprayed. Pay particular attention to cracks, doors and air tunnels. This should be done several days prior to placing grain into the bin. Be sure to alternate the insecticide every year. *Note: Malathion should not be used, as insects are becoming resistant to it. Clean the perimeter of the bin of debris and weeds. Spray the area with an approved insecticide. The bin is now ready to receive grain. Periodically spray around the perimeter of the bin with an approved insecticide. Also be sure to keep spills picked up and weeds pulled up. 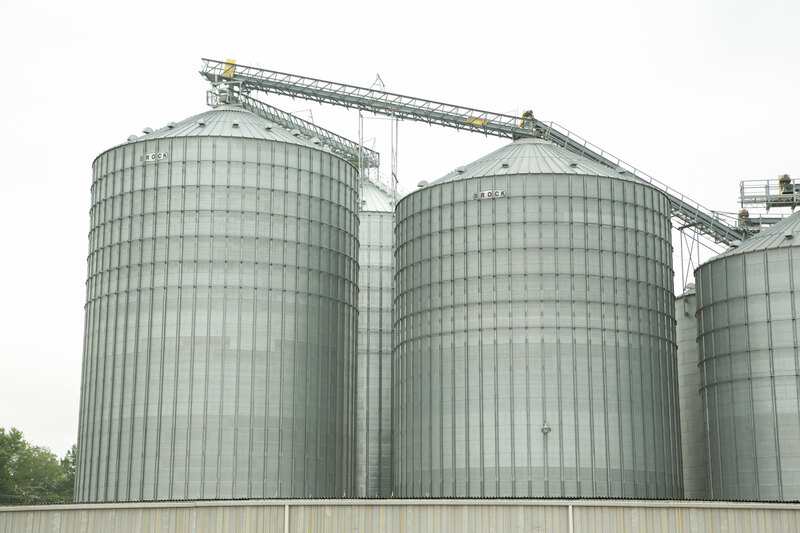 Storing dry grain below 13 percent moisture is best.